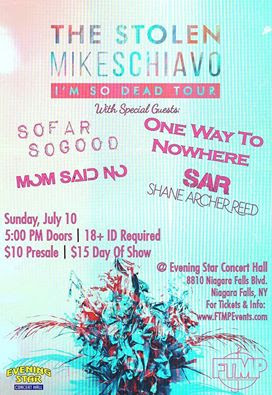 NIAGARA FALLS -- The Stolen and 2016 "The Voice" contestant Mike Shiavo will headline a July 10 show at the Evening Star Concert Hall. 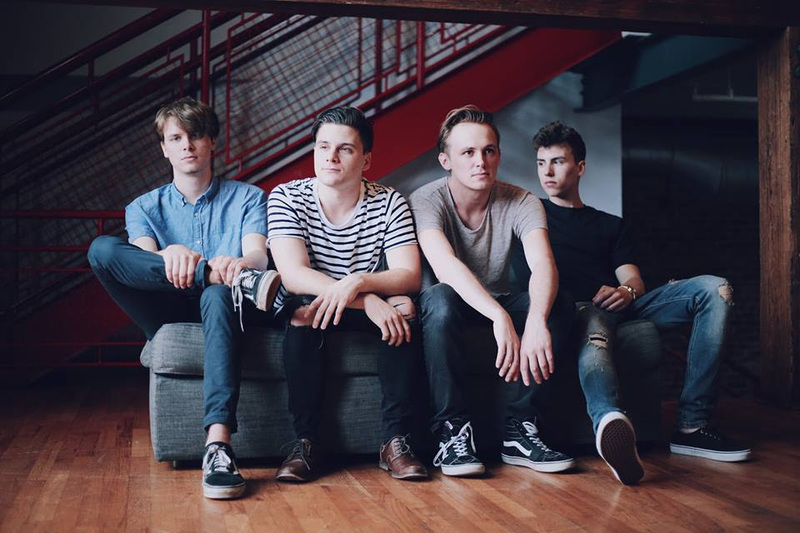 The Stolen, a pop/rock band from Old Bridge, NJ, consists of of Dom Cuce on vocals, Rob Chiarappa on guitar and vocals, Kevin Smart on bass, and Mike Chiarappa on drums. The quartet formed in 2005 as neighborhood friends who began performing their favorite covers at shows and built quite a following from taking top hits and adding their own melodic twist. They began writing and performing their own material in 2009, developing a devout following by touring the U.S. and Canada, opening for heavy-hitters Neon Trees and All American Rejects. Their debut EP, "Adults," combined the band’s undeniable catchy hooks with sincere lyrics, unforgettable choruses, and singing guitar solos to define their unique sound. While the EP tells a heartfelt story of growing up, the music varies from lighthearted tracks like "Motion Sickness" to darker emo jams like "Getting New at Growing Old" finding that perfect blend that Alternative music has been waiting for. Following Adults, the band released “Chardonnay” an emotionally right tune released in 2015, produced by Paul Leavitt (All Time Low, The Dangerous Summer). The current tour promotes their latest offering, "I’m So Dead," co-produced by guitarist Rob Chiarappa and Mike Oettinger (Man Overboard, Transit) and mastered by Grammy-nominated German Mastering engineer Robin Schmidt (The 1975, The Black Keys, Mumford and Sons). Mike Schiavo, aka Spots, a contestant on the 2016 season of The Voice, is a 20-year-old singer/songwriter raised in Colonia, NJ. His biggest inspiration is The King of Rock & Roll, Elvis Presley. Schiavo's style of pop-rock has been stealing hearts all over the world through Youtube where his channel has received almost half a million views and is a member of the Awesomeness TV Network. Mike's music career quickly took off and now you can see him performing with numerous national acts. Mike's popularity, success, and talent are leading him to take over the music industry. Also playing on the bill will be local bands So Far So Good, Mom Said No, One Way to Nowhere, and Shane Archer Reed, among others. Doors will open at 5 p.m. for the 18+ show. Pre-sale tickets are available online. The bill is a presentation of For the Music Productions.